The apostle Peter once said, “Each of you should use whatever gift you have received to serve others, as faithful stewards of God’s grace in its various forms” (1 Peter 4:10). To this day, a humble housewife is persevering to fulfill that call to use her gift to serve others. 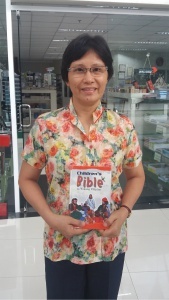 “While I was buying Bibles at the BibleHouse, a PBS staff invited me to attend a seminar,” shared Marilyn Niedo, a housewife from Sta. Ana, Manila. “I got excited because the topic was about children. I was interested since I love teaching kids but I’m not really a teacher.” . Marilyn first attended the Bible Relevance in Modern Times Seminar (BRIMS) on the topic Why Focus on the Children? facilitated by PBS Associate General Secretary Mrs. Perry Cartera. Marilyn came with her aunt, daughter, and a friend from their Couples for Christ group. All four of them excitedly shared that they benefited much from the seminar. 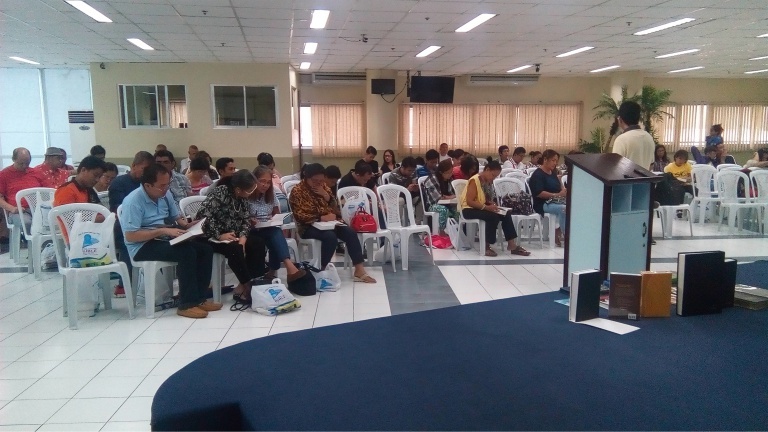 Not long after, Marilyn attended the succeeding BRIMS including the two-part seminar on Bible Narratives facilitated by speaker Pastor Noli Mendoza. She said that she has learned a lot from the seminars, which greatly contributed to the progress of her ministry to children. “The children are now faithfully attending and are active during activities. With the recent addition of two branches, we have grown to conducting a total of four Bible Study groups! We didn’t expect God would bless us this way but He is good!” shared Marilyn. 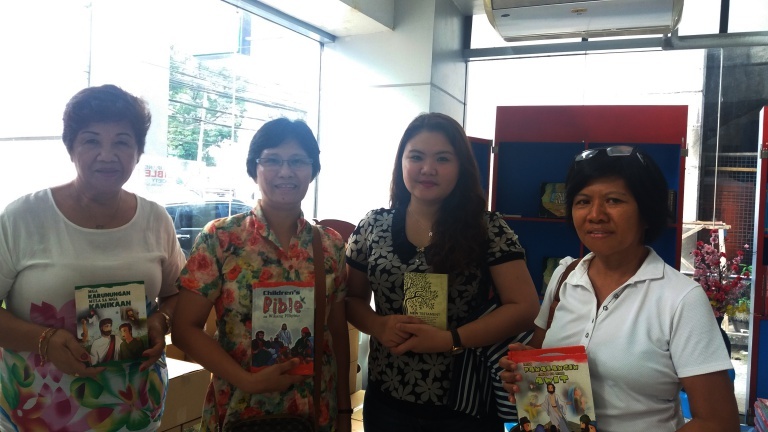 Their Children’s Bible Study has also branched out to two barangays in Western Samar and later on in another barangay in Leyte, with the help of her relatives facilitating the ministry there. The Bible Study group in Leyte was initiated by her aunt Nenita, a retired teacher, who attended BRIMS with her. Marilyn also happily added that the Scripture materials she received during BRIMS helped a lot. “We have shipped the New Testament copies to our other branches and it has been very useful to them,” she said. They are in much prayer and anticipation as this year is their 6th anniversary. To celebrate, Marilyn’s group in Sta. Ana will be doing a drama presentation of the Bible story, The Prodigal Son, on top of their regular activities like reading the Bible aloud, discussing Bible passages, and conducting Bible verse games. “I ask for your prayers that I may be more patient and effective in teaching the kids, and also minister to their parents. I also hope that God would continue His provisions since we are supporting some of the kids in their studies by giving school supplies and financial help,” she said.